1930. Maple and 12th streets. 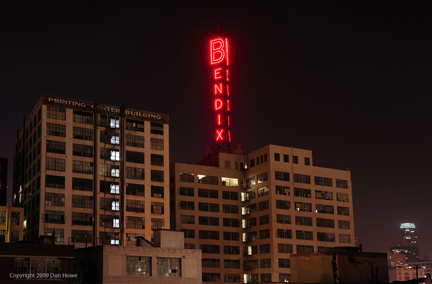 The tower was built by Bendix Aviation Corporation to aid in nighttime aviation. 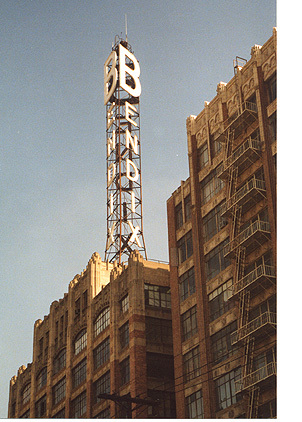 The entire sign stands 150 feet tall; the letter "B" alone is 25 feet tall and 16 feet wide. The night shot, photographed by Don Howe, is reproduced by permission.